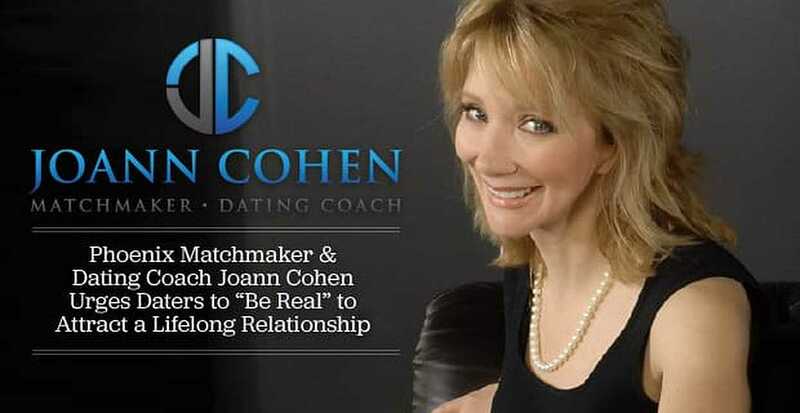 The Short Version: Joann Cohen, a matchmaker and self-starter, uses her networking prowess and emotional intelligence to help her clients find committed relationships. Her matchmaking and dating coaching services give single Arizonans the resources and confidence to go on a successful date that leads to a relationship. From introducing bachelors to hand-selected matches to giving women a full-scale makeover, Joann truly makes a difference in the lives of her clients. Singles can gain added insight from her 20 years of interpersonal experience in a private session called the Ultimate Straight Talk Dating Advice. Joann’s main takeaway for all daters is to be the real you on every date, and you’ll earn love through honesty and authenticity. He’d spent the past several years caring for his wife, who suffered from dementia, before she passed away. Now single, he hoped Joann could help him meet someone to fill the emptiness in his house and his heart. Her typical client is usually much younger, but she felt up for the challenge. The matchmaker began going to seniors dances to look for a compatible partner for him. One day, she set eyes on a gorgeous woman on the dance floor. She was elegant, kind, and a perfect fit, so Joann set the pair up on date. Her first try was a home run. The couple now live together and spend their golden years traveling around the world. 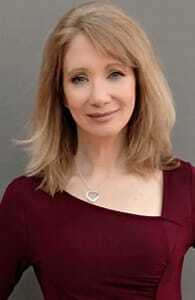 Joann Cohen has 20 years of recruiting experience and uses that in her matchmaking and dating coaching. Joann began her career by working in recruitment and human resources for corporate America, but now she uses her people skills to scour Arizona for single women to set up with her clients. She runs a boutique matchmaking and dating coaching firm for relationship-oriented people. Relying on her 20 years of award-winning certified recruitment experience, Joann networks her heart out at charity functions, art shows, and other events in search of the best singles Phoenix has to offer. Joann offers personalized matchmaking to successful men who are ready for commitment. Her clients range in age from young adults to seniors. She picks these men carefully, only taking on 15 at a time, so she can truly devote herself to helping each one find a lasting love. The first step is an in-depth profile with sections for the bachelor’s lifestyle, habits, and looks as well as qualities he’d like in his ideal partner. Next, Joann takes the time to really get to know her client in a two-hour initial consult, which focuses on the man’s dating experiences, strengths, and weaknesses. Joann is determined to know her clients inside and out so she can properly match them up. After she thoroughly understands her client’s wants and needs, Joann looks into her database for the lucky lady to set him up with. If the right woman’s profile isn’t there, she goes searching at events and recruiting on social media. Joann meets with every potential match one-on-one and does a personal background check before OK’ing the applicant. When she zeroes in on a woman who measures up, Joann arranges the date for her client. Afterward, she follows up with both people to see how it went and what they’re looking for. Her feedback, delivered in an upfront manner, helps her clients learn and improve throughout the process. A date concierge, Joann offers a few different drab-to-fab makeover plans for women who want a little pampering to boost their self-esteem. The Diva, Movie Star, and Prom Queen programs treat women like super stars as Joann equips them for dating with everything from online profile management to makeup lessons. According to Joann, her programs are especially helpful to women re-entering dating after a breakup. The women in the programs benefit from custom consults on their image, clothing, hair, and makeup — plus a photo shoot to lift their confidence in how they look. The team also delves deep into dating strategies and flirting techniques, even setting the woman up on practice dates to see how she can improve her conversational style or body language. With support and honesty, Joann does whatever it takes to help her clients feel comfortable going out into the dating world. To help both men and women prepare themselves for love, Joann conducts one-on-one consultations, which she calls the Ultimate Straight Talk Dating Advice. In 50-minute sessions, she imparts her knowledge of human behavior and gives lessons on body language in a comprehensive workshop. Answering any questions they might have, Joann gives her clients direct, specific, and personalized advice to improve their love life. For men, she said she spends a lot of time explaining what women are thinking so they know how to behave on a date. She’s prepared to help with any issue from where to meet people to how to set up an online dating profile. Everything Joann does, from matchmaking to writing her dating blog, supports singles in their search for “the one.” She’s seen many success stories result from her services, and her website showcases glowing testimonials from satisfied clients. The Phoenix matchmaker puts a tremendous amount of time and thought into every match she makes and every piece of advice she gives. She has years of experience forming deep connections, and healthy relationships are her specialty. Ultimately, the best advice matchmaker Joann Cohen has for singles is simple: Be yourself. As a dating coach, she works one-on-one to draw out who a person really is and get that person to show up on the date. People are attracted to authenticity, so her consultations and services emphasize being real starting from the first date. 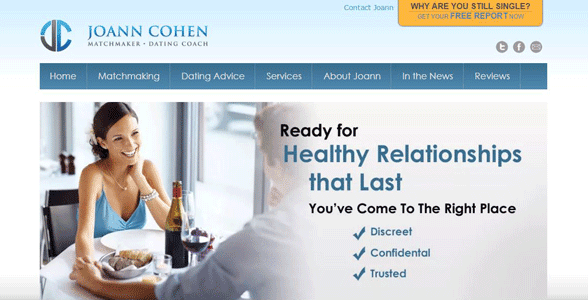 Joann Cohen’s matchmaking and dating coaching service sets realistic goals for singles. Through direct feedback and exclusive matching, Joann pairs up male clients in long-lasting relationships and gives women confidence-boosting makeovers. Her helping hand spares singles a lot of stress and time when dating. No matter how busy, introverted, or old you are, Joann’s message is that it’s never too late for love, and she has the success stories to prove it.